12 Sep Treat your furry friends to a visit to Church! Do you know just how dog friendly Church on the Hill is? 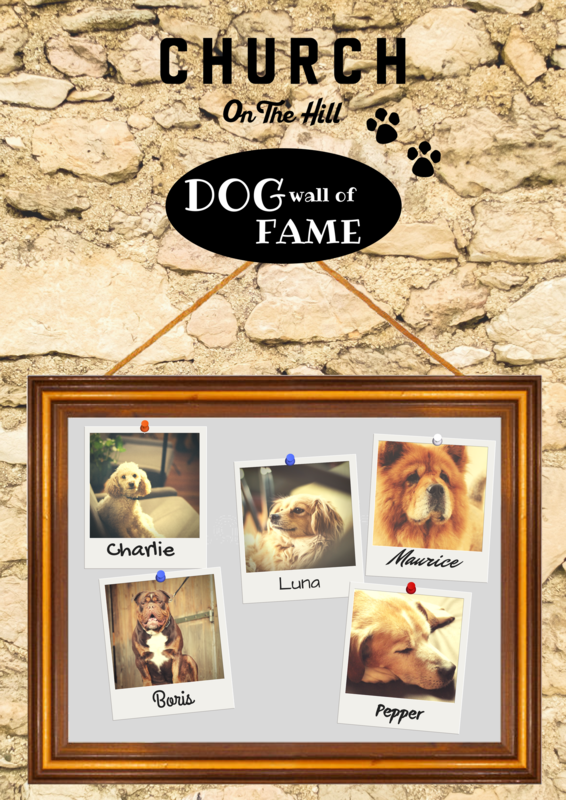 We love your fluffy friends so much that we created a wall of fame just to show them off! Next time you bring your pooch to Church, be sure to have their picture taken to be in with a chance of winning our Dog of the Month award. If they win, your pet could be the most fashionable pup on the block, sporting their very own Church on the Hill doggy jacket. Don’t forget for the discerning pooch partial to a tipple, we have a selection of doggy treats and drinks on offer, including Pawsecco and Bottom Sniffer beer!